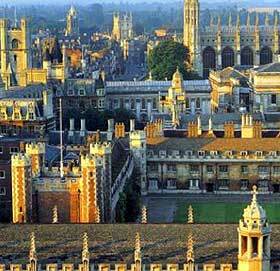 A World famous University city , Cambridge , has grown to include 31 colleges. They incorporate some of the richest architecture in the city and have a reputation for scientific discovery and brilliance. Cambridge is a bustling students’ city. Students are attracted by its wonderful historical atmosphere, culture, punting (flat bottomed boat) and lively nightlife. It’s a popular choice for students! • Homestay (half-board), Self-catering residential with private wc (18+) accommodation.